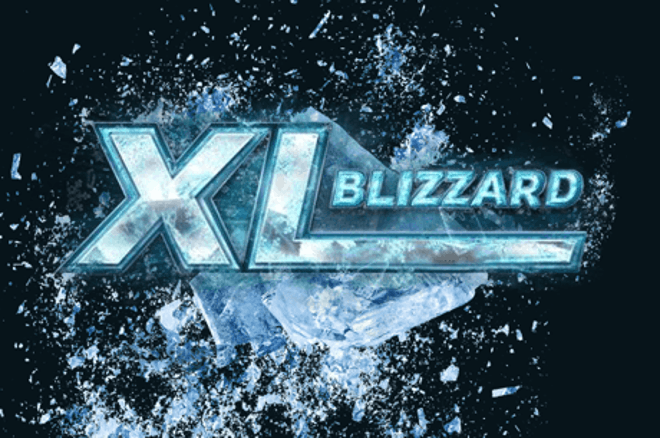 On the seventh day of the XL Blizzard Series, three new winners were crowned. The XL Blizzard #19 - $50,000 PKO attracted a total of 411 players to create a prize pool of $55,100. The first-place prize was $5,287, and every finalist would win at least $457, without their 'bonuses' for knocking out opponents. After "Pon4uk" busted in tenth place, the final nine players moved to one table and secured $457. This amount went to "DiegoMU99" from Peru, who finished in ninth place. After that, "ZlatanKranen," "For1k," and "jsmackers" busted in eighth ($620+$786), seventh ($895+$491,) and sixth ($1,171+$281). Switzerland's "playboy1983" finished in fifth place for $1,543 plus $658, and shortly after, "adebisi5" from Malta busted in fourth place for $2,204 plus $843. "Ychwerd" from Latvia missed out on the final heads-up after busting in third place for $2,893 plus $467. The deciding heads-up was between "Enthusiast99" and "ContaSagrada." "ContaSagrada" took first for $5,287 plus $5,098 for a total score of $10,385 and became the biggest winner on Day 7 of the series. Runner-up "Enthusiast99" received $3,926 plus $1,495. Almost an hour earlier, a winner was crowned in the XL Blizzard #20 - $20,000 Mini PKO. In total, 1,076 players paid the buy-in of $16.50 to create a prize pool of $22,605. In this event, "Timstar.nl" was crowned a winner and he or she took the most money and received $2,035 plus $1,201, a total prize of $3,236. Second place finisher "7obi490" got $1,450 plus $499 for a total of $1,949. Another winner was crowned in the XL Blizzard #21 - $10,000 Late PKO, where 442 players competed to create a prize pool of $16,770. After just six hours and 26 minutes, it was Brazil's "Naik10" who took the title and the first-place prize of $1,593 plus $1,631. The Brazilian defeated United Kingdom's "AlmostWinnin" in the deciding heads-up after "playboy1983" from Switzerland finished in third place.